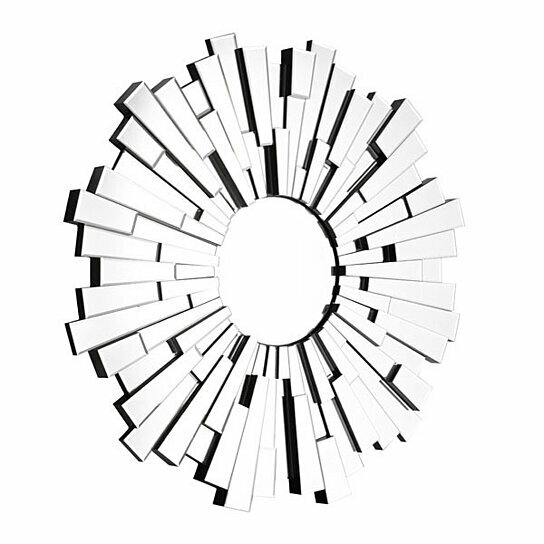 Exploding from the wall in a shower of light, the Burst Mirror is a dramatic piece. Yet it calms right down when it's time to reflect the position of your hat. Adds flare to any room. Each mirror features brackets for hanging and wire included.